An antiaging doctor is a medical practitioner, that specializes in diagnosing and treating medical conditions related to the aging process. Depending on what you can find in the health insurance marketplaces that have been set up, there may be a type of coverage that applies to various treatments. These doctors believe in slowing or reversing the aging process whenever possible! They combine elements of standard medicine with alternative medicine and usually treat patients in private practices or antiaging clinics. This field of medicine is growing very rapidly as aging baby boomers are discovering that they can maintain their appearance, health, and quality of life far into advanced age! They begin with the standard medical training every doctor receives. Then the doctor extends his or her knowledge by acquiring more specialized training and certification in the medical discipline of antiaging medicine. An antiaging physician is usually an M.D. like Dr. Eric Braverman , but can also be a chiropractor (D.C.), osteopath (D.O. ), or naturopath (N.D.), who has received the specialized training and certifications relevant to the field of antiaging medicine. Antiaging physcians often practice in a clinical setting with other doctors who each have a medical specialty as their focus, but who work as a team to provide the integrative or holistic approach, that is becoming more accepted in medicine. The A4M or (American Academy of Anti-Aging Medicine) currently provides a board certification in antiaging medicine which more and more doctors are taking to upgrade their skills. An antiaging practitioner would be superior to a more mainstream physician in dealing with aspects of aging because of their specialized training and focus, integrative approach, and belief in the effectiveness of antiaging strategies. The antiaging physician will use integrative and holistic medicine that will allow them to prevent disease as well as slow down the aging process. He or she will minimize the use of medications to avoid the dangers of pharmaceutical drugs, which often cause more problems than they solve! Antiaging physicians are also aware of the dangers of radiation from various medical scans, and will seek to minimize their use to just what is absolutely necessary. If you are dissatisfied with the quality or your life because of the effects of aging and your primary care doctor seems either uninterested or unable to address that in a satisfactory manner, then you should consider the services of an antiaging physician. Standard medical insurance may cover the services of an antiaging specialist depending on your medical plan, and whether you can get a referral from your primary care doctor. In the future it is likely that more insurance plans will cover antiaging medical care. You would choose an antiaging physician by checking their status with the appropriate medical boards or associations, getting references from other physicians, and talking to or meeting directly with the doctor to determine whether you are comfortable and confident with their approach and philosophy. You can find antiaging doctors listed on a number of sites online including this one. There are many fine physicians in practice with an antiaging focus. Click this link to create a LISTING in our directory for your Antiaging Medical Practice or use the form below! 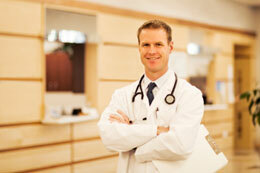 You may decide that you want to have an anti aging physician as your primary care doctor. This may depend on your particular medical insurance. It also depends on the doctor’s status with the medical boards, and your comfort level with his or her medical expertise, approach and personal interaction with you. You absolutely must do your homework when choosing your doctor. The resources on this site can help you, but it's YOUR decision! A little research will ensure that you choose an antiaging doctor that will help you achieve true wellness and longevity. Check out my web page on Dr. Stephen Sinatra M.D. the FACC board certified cardiologist who is also certified in both antiaging medicine and bioenergetic medicine! This is a directory of doctors knowledgeable about treating Lyme disease. Use this form to list your Antiaging Practice on our website!